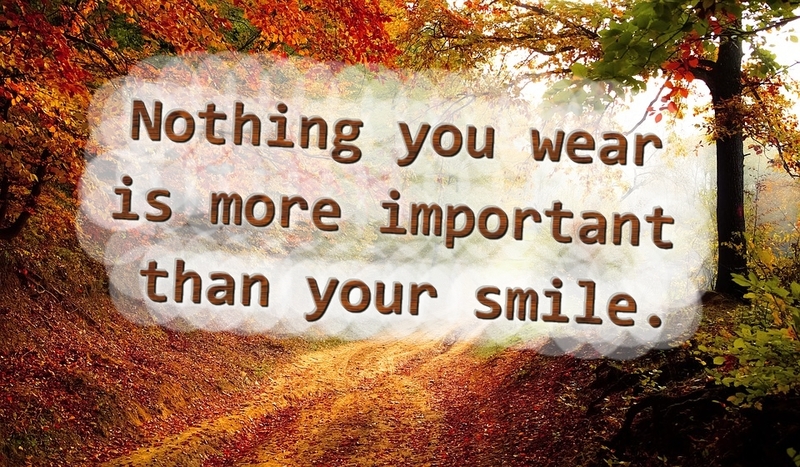 HomeInspirational MondayNothing you wear is more important than your smile. I do not really care that much about the clothes I am wearing. Maybe I should care a bit more? But, what I do know for sure is that the smile is the most important thing you should wear! You might look fantastic and have the best and most expensive clothes covering your body, but if the smile is missing, it isn’t worth much! People enjoy being around happy people, and they enjoy the presence of people who smile. It is much better to be in the company of someone happy and smiling than to be with a grumpy person with a lot of money. It is something about the presence you bring with you. When you enter the room, will people relax and smile, or will they fear and become insecure, wondering what you will bring with you? You bless the righteous; you surround them with your favor as with a shield.